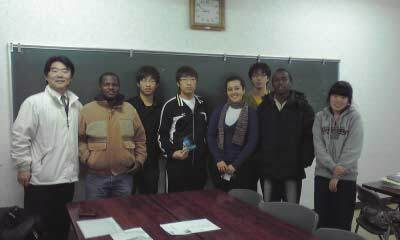 On November 28th, Hiro Nishimura met with international students at Nagasaki University. Many of them are strongly interested in participating in the spring ’09 programs. Previous PostAnother Look at the Summer 2008 Japanese TourNext PostMeet Nicolina Karaolia from Cyprus!